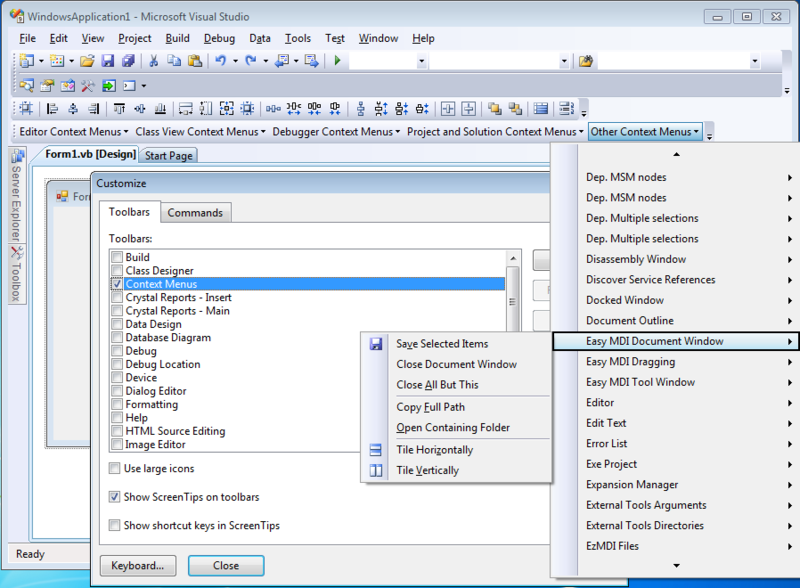 For non-document tabs (like Start Page) the context menu name is Easy MDI Tool Window. If you manually add a new command to a Visual Studio tab context menu, XMenu will also add this command to the Tabs Studio tab context menu. 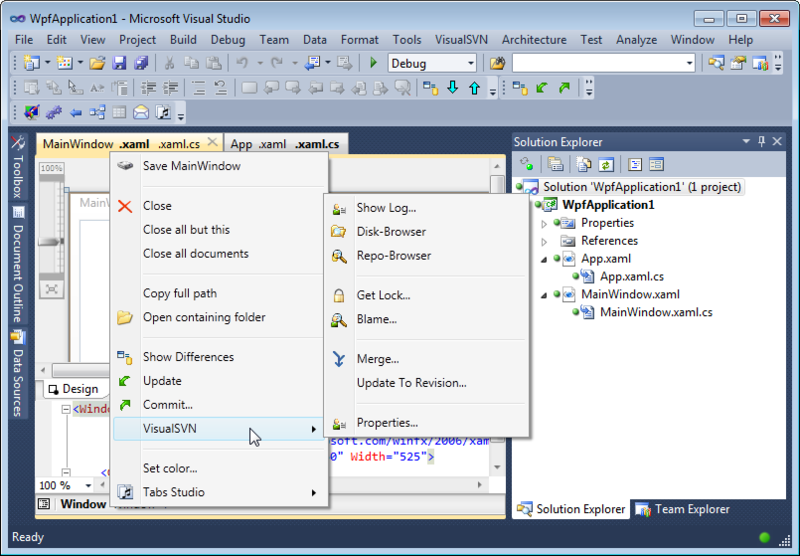 Note, in Visual Studio 2010 to add a command to the right-click menu of a document’s tab, first you’ll need to right-click on a Visual Studio document tab to work around a Visual Studio bug. 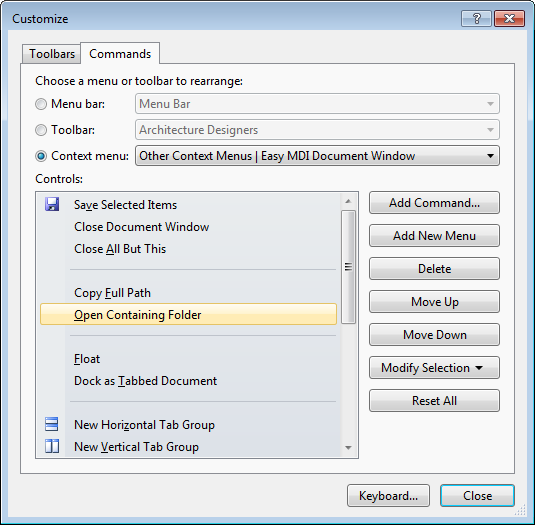 (Otherwise the Easy MDI Document Window context menu doesn’t show up in the Customize dialog.) 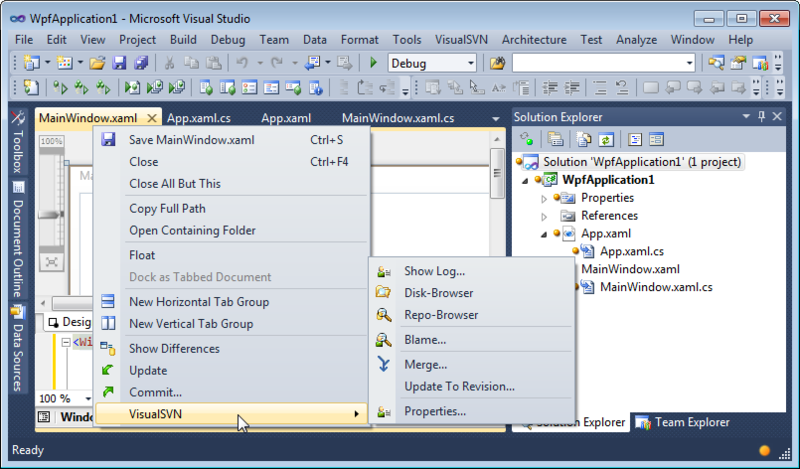 As Tabs Studio hides original Visual Studio tabs, you first need to temporarily disable Tabs Studio or float a document to open original document’s tab context menu.